We believe in managing our farm holistically and taking care that the entire system. In addition to our work to sustainably manage the land, we also work to reduce our energy demand and use renewable energy. 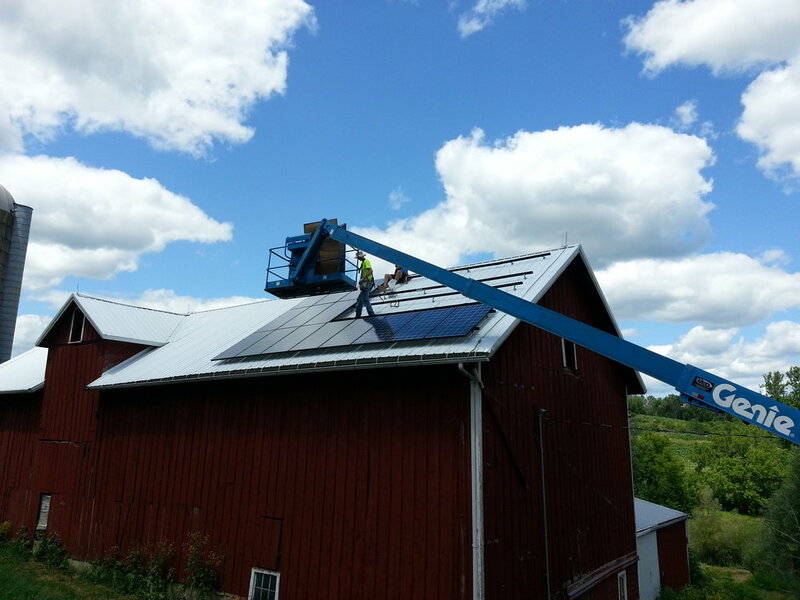 In 2014, we installed a 6 kW solar photovoltaic system on our barn roof. This solar array generates much of the electricity that we use in our barn for our farming operations and in the house. Any excess electricity generated is sent back to the grid. As part of a big house remodel in 2019, we added a geothermal system, also known as a ground-source heat pump. This efficient system uses the temperature difference between the air and ground to heat or cool the house. We also save energy and cut costs by investing in energy-efficient lighting and appliances, and insulation. This has been a big improvement to our old farm house - both in terms of comfort and our environmental impact.